If you do you’ll want to keep August 26th open. Even if you don’t remember some of the best parties to hit the north coast, this will be sure to please! 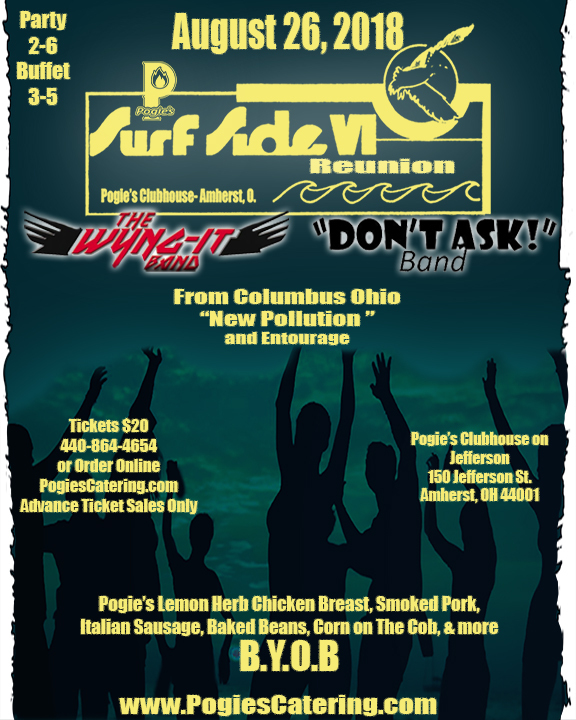 Our biggest party of the Summer will be August 26th as the guys from S.S. VI bring another reunion back to Pogie’s Clubhouse. We really want to make this as big and special as we can. We’ll have live music on the patio all day. 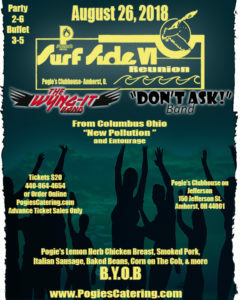 Come hear The Don’t Ask Band, Rick Kean and the Wyng-It Band, New Pollution, and Entourage. Come inside the clubhouse and take a stroll down memory lane at the S.S.VI museum. Pogie’s Clubhouse is BYOB so don’t forget your coolers! Surf Side VI Reunion Facebook Page!